I enjoy a cold beer every now and then. If it is a weekend night and I am in the mood, I might indulge. However, in my advancing age, I have found that unless I want to go to bed early, I usually don’t drink more than two. For tonight’s blog post, I thought it might be fun to countdown my top 5 favorite beers. DISCLAIMER: I am not a beer snob. Despite once living in a town that is celebrated for its eight breweries and beer-loving culture, I am embarrassingly boring and corporate when it comes to my brews. 5. 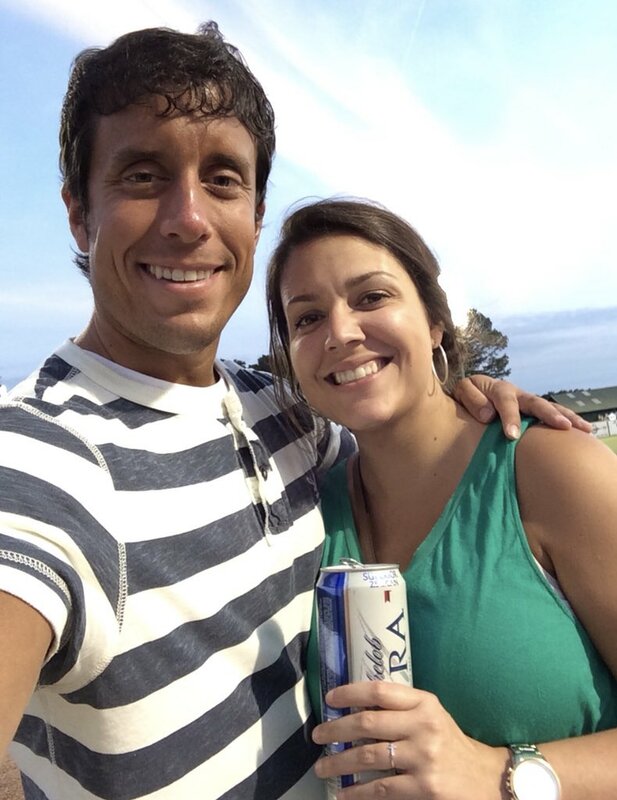 Michelob Ultra – I became a fan of Michelob Ultra because it is Sidney’s favorite beer. How can I not like the beer that the love of my life enjoys? Although I drank it occasionally before I met Sid, I didn’t appreciate it fully until I started to date her. Now, whenever it is time to “get a 6-pack,” Michelob Ultra is a possibility of what I might be coming home with. Sid drinking a Michelob Ultra during one of our first dates together. 4. Bud Light Lime – This is my summer jam. If I am out on the boat or sitting at the pool, I will grab a Bud Light Lime. Some people don’t care for the artificial taste but for me it is refreshing. I don’t care for Bud Light’s other spinoffs such as Bud Light Wheat or Bud Light Orange, but I do enjoy this one. This brew reminds me of long days, warm weather, and lots of fun! 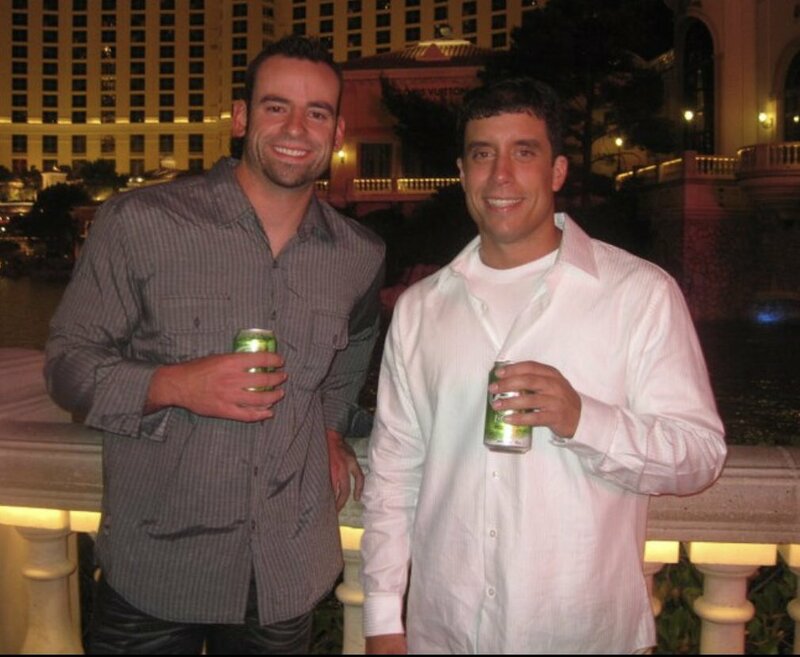 My friend Dan and I enjoying a Bud Light Lime on the Vegas Strip. 3. 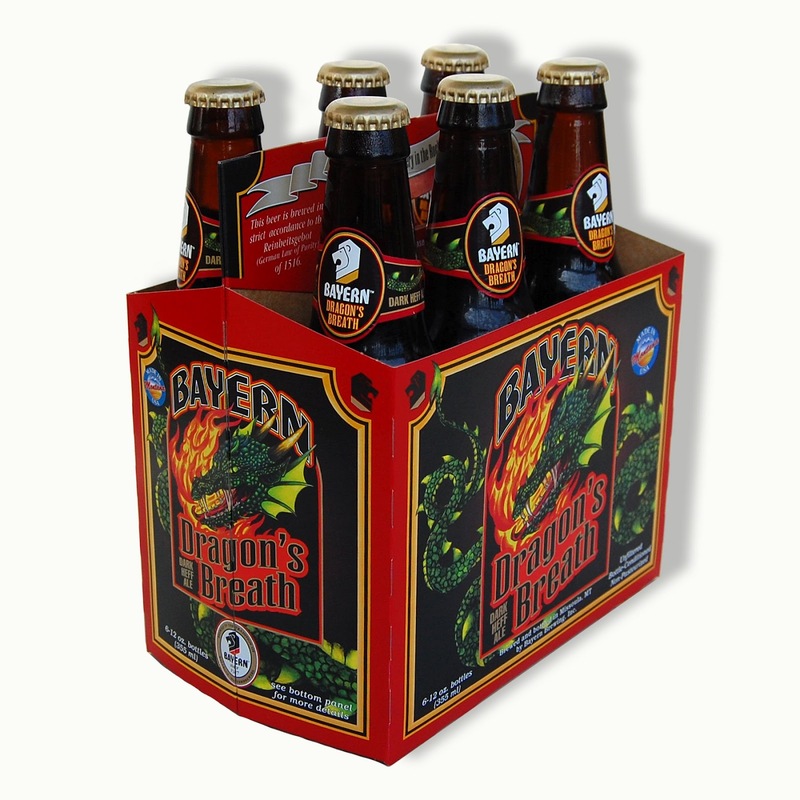 Dragon’s Breath – Beer connoisseurs are going to hate this list but hopefully they will cut me a little slack for at least including one craft brew. My favorite brewery in Missoula was Bayern and my favorite beer they make is called Dragon’s Breath (no, not the crazy frozen dessert found at mall kiosks). It is a dark Hefeweizen and although I usually don’t opt for dark beers, I do like hefes. Obviously, the Hefeweizen is more prominent than the darkness. It doesn’t have an overpowering taste and you can pick up on some pleasant caramel tones when you sip it. Dragon’s Breath also has a nice smell and a really cool logo. Dragon’s Breath is pretty dang good. 2. Bud Light – Okay, now I really got my readers who know anything about beer mad at me. He put Bud Light at #2 on this list? It is true, Bud Light is one of my favorite beers. I am the guy who will order a Bud Light after the waiter suggests several seasonal, 6.7% ABV hoppy beers. I am the guy who will opt for a Bud Light at an ale house with 70 different beers on tap. I am the guy who will still select a Bud Light even if everyone at my table has already ordered a sophisticated, “flavor of the month” type beer. Sorry not sorry. I like the simplistic taste of Bud Light. I don’t care if it is watered down, contains a low percentage of alcohol, or is the least imaginative drink at any bar. It tastes good to me. It is consistent. It quenches my thirst. I am an unapologetic Bud Light drinker. 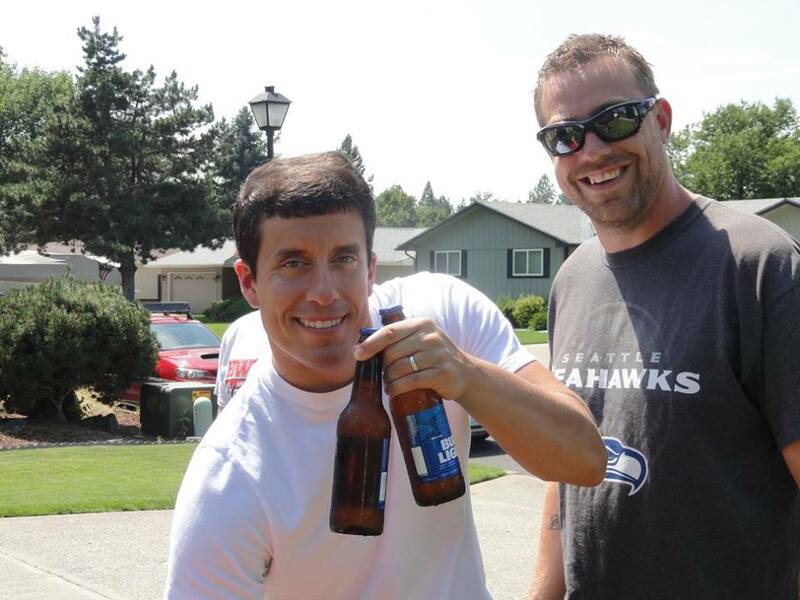 You can’t go wrong with Bud Light. Photo is of me with my cousin Cody last summer. 1. Blue Moon – For my loyal readers, you could have already guessed this would be in the top spot. Almost two years ago I wrote my ode to Blue Moon and my feelings have not changed. Nothing beats the refreshing, unique taste of my favorite beer. Few things are greater in the world than enjoying this golden liquid after a long week. You know how I define beauty? After Sidney and Sloan (of course) it is a frosted beer mug filled with Blue Moon and topped with a fat orange slice. I know this is not a popular choice but I am not writing this blog to make friends. No doubt about it, Blue Moon is my favorite beer. 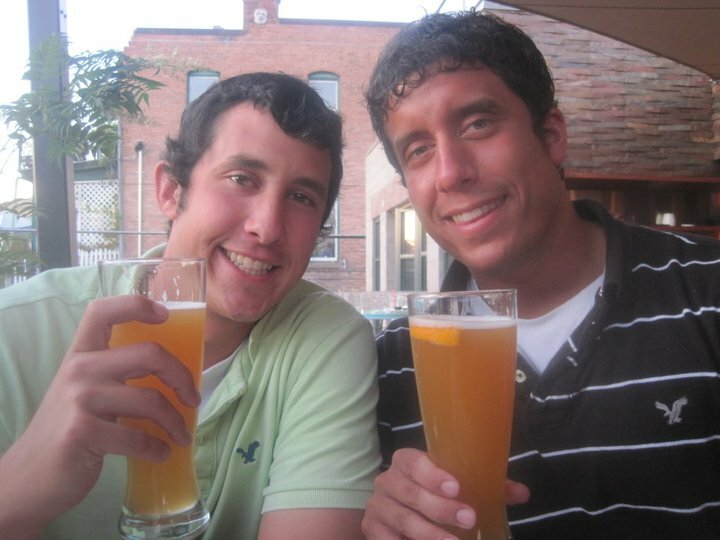 My brother and I enjoying Blue Moons. Anyone need a drink? I know most of you probably didn’t enjoy my list so just take comfort in the fact that I am not your bartender. Have a great night and I will see everyone tomorrow with the Thursday Rundown. Remember, drink responsibly. Don’t Blink. This entry was posted in Uncategorized and tagged Bayern, Blue Moon, Drangon's Breath by brent. Bookmark the permalink.